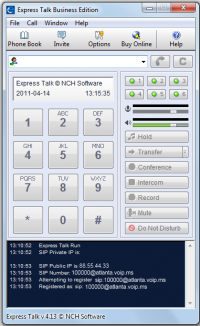 Overview: Express Talk works like a telephone to let you make calls through your computer. Call anyone via the internet who also has a softphone installed and if you sign up with a VoIP gateway service company you call regular telephone numbers as well. 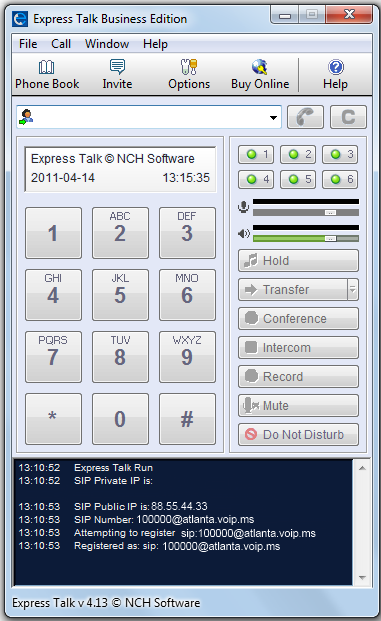 With Express Talk you could potentially call someone using their internet IP (eg. “bob@1.2.3.4”) but this is not usually practical. It is much easier to use a friendly address like “bob@myphoneco.com”. 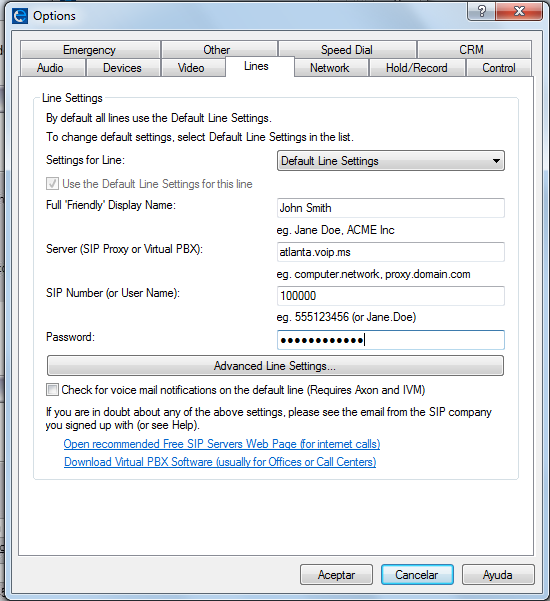 To have this you need to sign up with a SIP proxy service. This is almost always free to signup for and usually requires nothing more than an email address. See our Recommended SIP Service Providers List for a list of options. Some of the companies also provide gateway services. 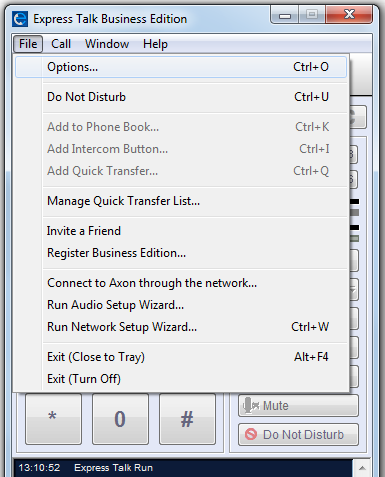 This means connecting phone calls to ordinary (non internet or analog PSTN) phone lines. These calls tend to be much less expensive particularly for international calls compared to regular long distance charges since they can offer local call rates.